As you surely know by now, my husband and I love Mexican-American food! So when invited us over for two types of enchiladas, well we jumped at the chance to eat her homemade Mexican-style meals! 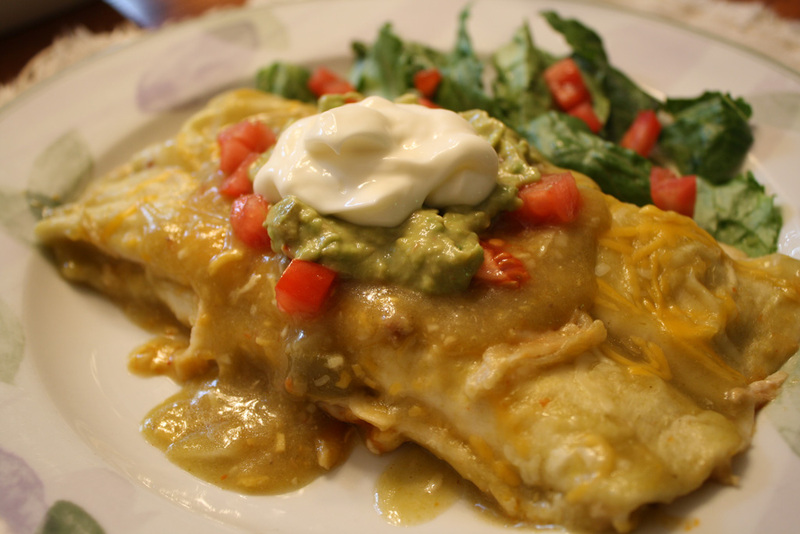 Of course, I couldn't just stop at the beef enchiladas; I had to make the creamy chicken enchiladas as well! 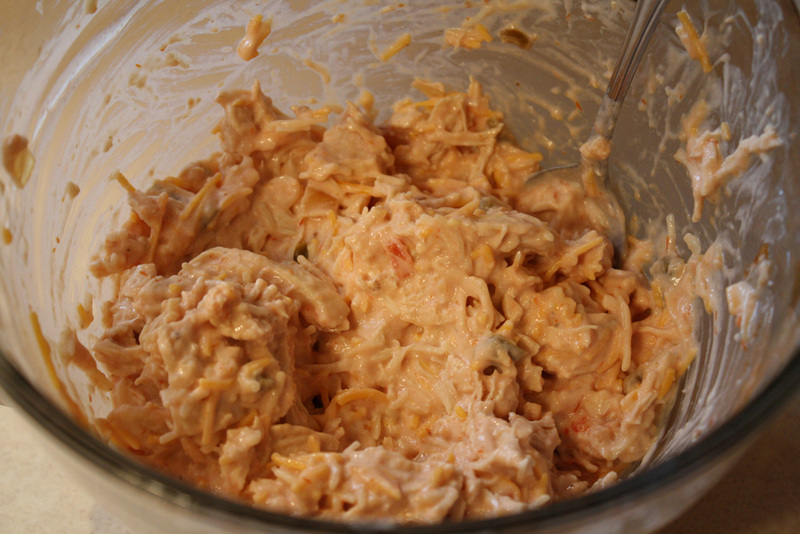 They require a little more time but are equally delicious and make for excellent leftovers! emove chicken from water and put on a cutting board. Cube (or shred) chicken. our a thin layer of the green enchilada sauce in a 9" x 13" baking pan. 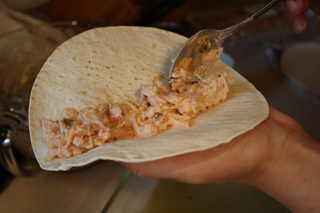 Then hold the tortilla in one hand while spooning the chicken mixture onto the tortilla. Roll up the tortilla and place on the sauce in the baking pan. Makes 8-10 enchiladas depending on how much filling is used. 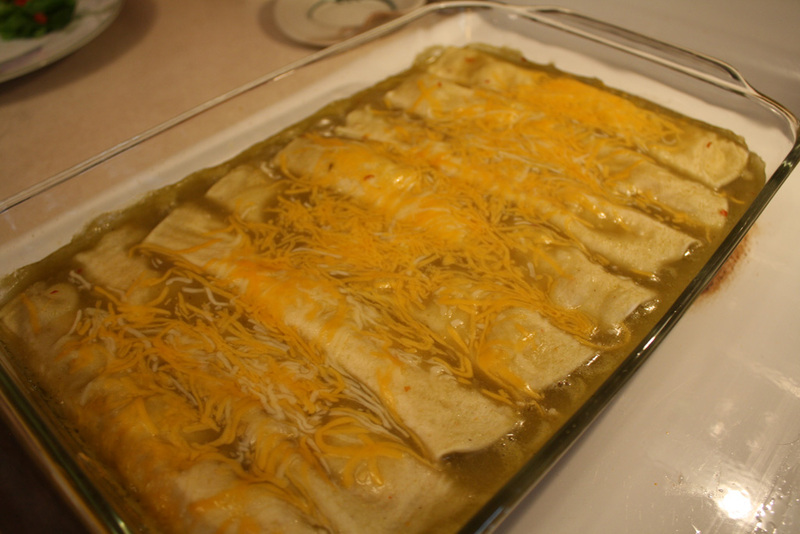 Top the enchiladas with the remaining cans of green chili sauce. 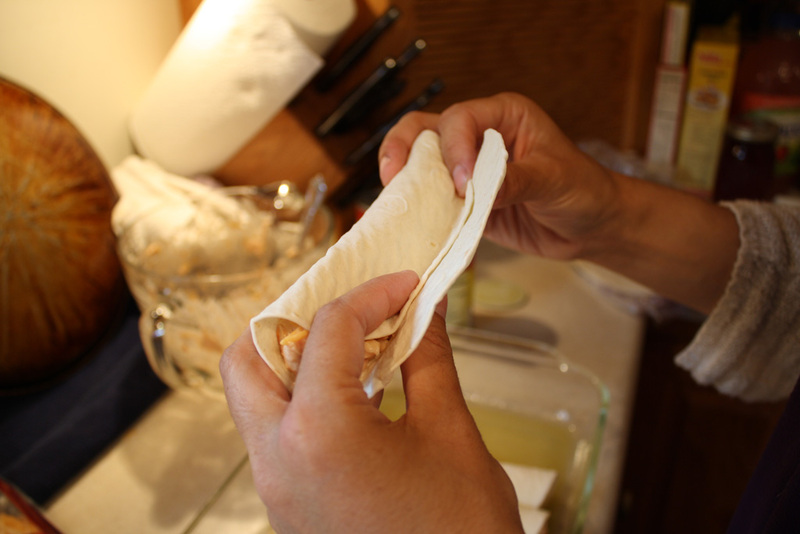 Then sprinkle on the remaining cup of cheese. Bake for 20-30 minutes, or until cheese is completely melted. Top off these tasty enchiladas with sour cream and serve with a side of taco chips and homemade guacamole! Enjoy!